It is 65 degrees here today. We have a left over ham that everyone is sick of eating. 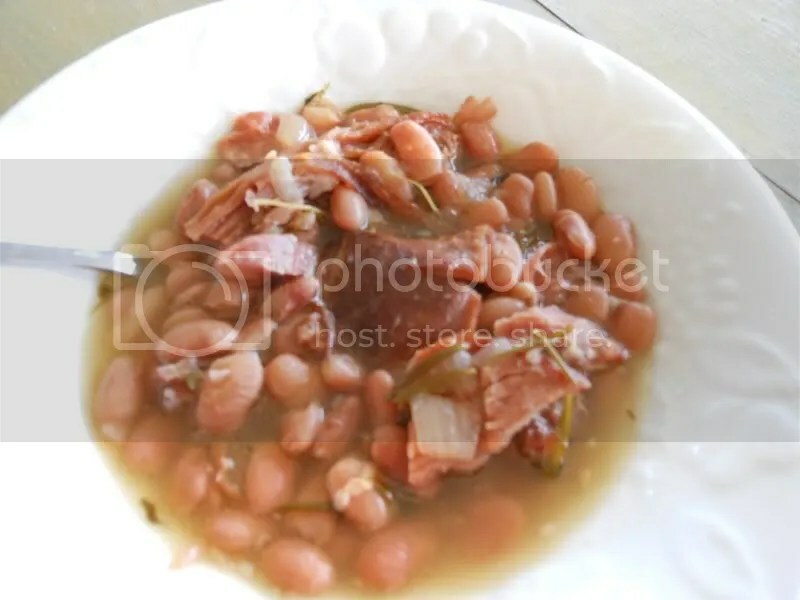 It only makes sense to make a famous “Pot O’ Beans”. The only problem is I have attention deficit disorder today and it has taken all day to get this post done and these beans cooked. Here is the recipe and read on dear friends for the funny part. After rinsing and picking, place beans in large stock pot. Cover with water and bring to a rolling boil. Turn off the heat, cover and let sit for one hour. Drain the beans in the collander used for rinsing. Use the stock pot to add olive oil, butter, garlic, onions. Cook until softened. Add the beans, ham hock and cover with water. Add rosemary, thyme, paprika and salt. Simmer with lid for two hours checking and adding water as needed. Add salt and simmer for another hour. Serve with cornbread. 1. Start a post about chickens and remember to look up a phone number. 2. Look up phone number, see an advertisement for slip covers. 3. See advertisement for slip covers, go out into the garage to measure chairs and see husband in garden. 4. See husband in garden, show him tomato stakes and go get tomato stakes. 5. Get tomato stakes, take to husband and remember post about chickens. 6. Post about chickens requires photo, get camera, take pictures and see neighbor mowing for hay. 7. See neighbor mowing hay, want to make him banana bread and make banana bread. 8. Make banana bread, no chocolate chips and call neighbor to borrow chocolate chips. 9. Call neighbor who doesn’t have chocolate chips, send son to town, make bread, talk to neighbor and wait for chocolate chips. 10. Waiting for chocolate chips, decide to use what I have for one loaf for neighbor mowing hay and neighbor comes in after mowing. 11. Neighbor comes in and we visit about canning, neighbor looks at our garden and I remember chicken post. 12. Remember chicken post, decide to post about beans ( thank God I did put the pot of beans on this morning) and think of new post. 13. New post will be Pot O’ Beans, yum! 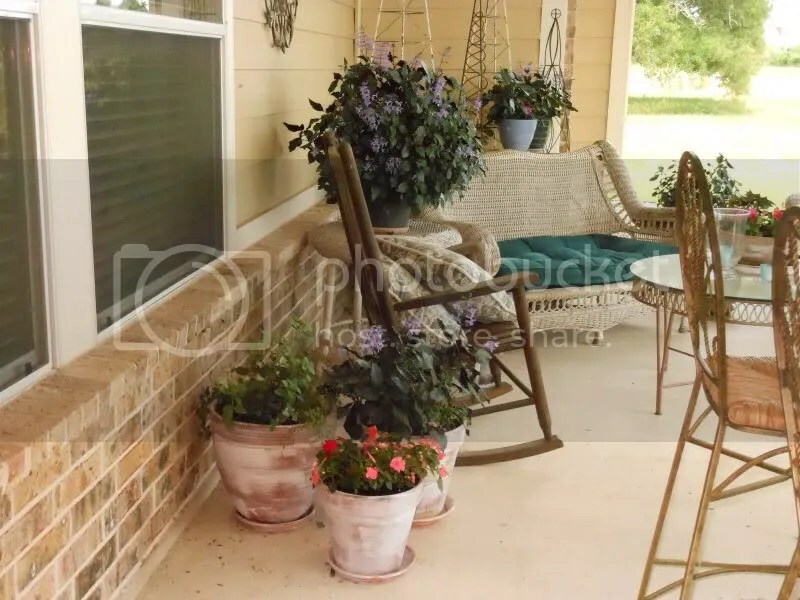 .. get a bowl of beans, take it outside to take picture and see the herbs growing in pot on patio. 14. 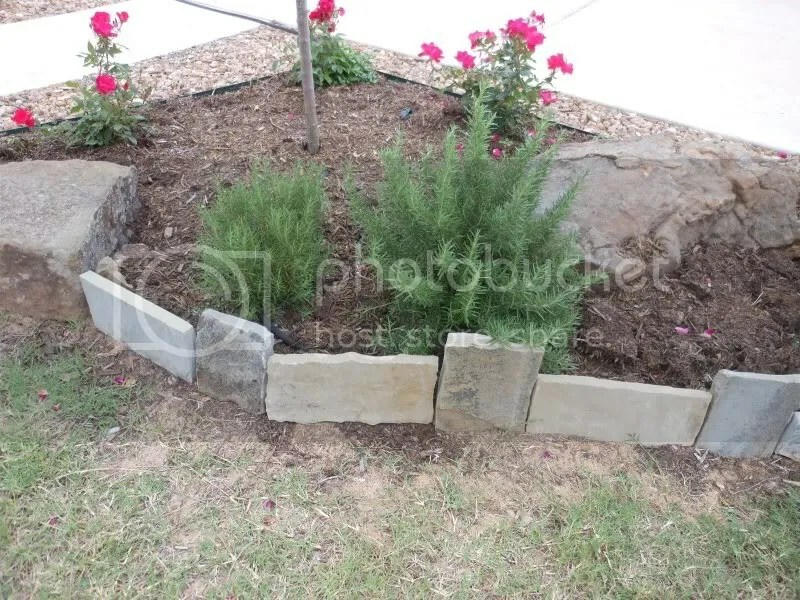 See herbs in pot, take picture, go to front and take picture of rosemary in flower bed, always wanted a picture from under the oak tree. 15. 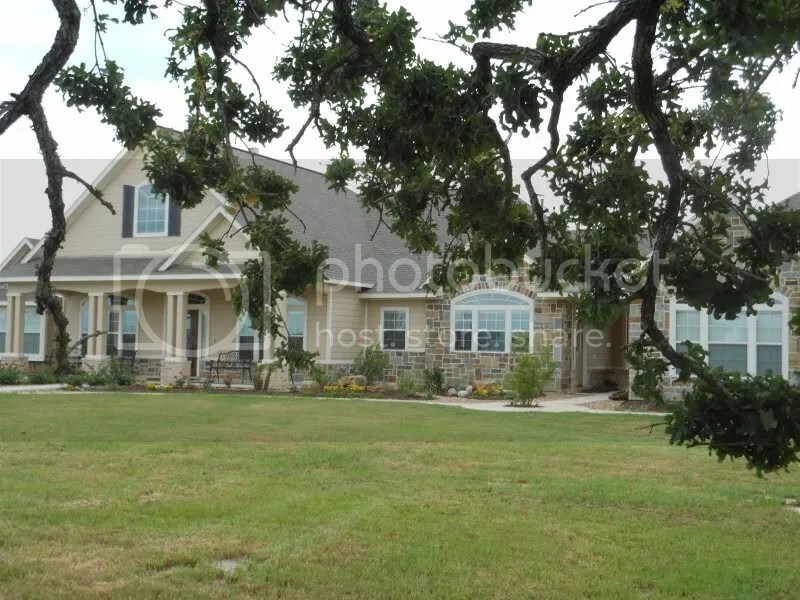 Take picture under the oak tree, might as well take pictures of the flower beds and remember bowl of beans on back porch. 16. Return to back porch, beans not there, find beans, get recipe and go to computer. 17. At computer, uploading photos and marvel at how I get anything done! Oh yeah, the post was supposed to be about chickens. I’ll try again tomorrow because now I need to serve some beans and corn bread to the men of the house. 1. Stop writing, upload photos and discover one has to be retaken. 2. Retake photo on porch, see husband who hands me a dirty barbeque spatula and decide to wash spatula. 3. Wash spatula, return to computer and remember chickens need to be put up. 4. Put up chickens, remember beans, serve beans and remember post………………………………………………………………………………………..
Next Post I Give Up Chocolate Chip Banana Bread! Love to read your comments! They keep me writing.